Instagram is popular photo sharing website to share and search for awesome photos from different users. The app shows feed based on an algorithm. If you are following too many accounts, there is a possibility that you miss a photo or see it late on Instagram. You have no control on how Instagram shows the photos on your feed, but you still have an option to solve this issue. Instagram has a solution to this problem. It allows you to turn on notifications for Instagram accounts. So, you can turn on Notifications for few accounts to get push notification each time these accounts post a new photo. In this way, you will never miss any single photo and will see it instantly it comes on Instagram. 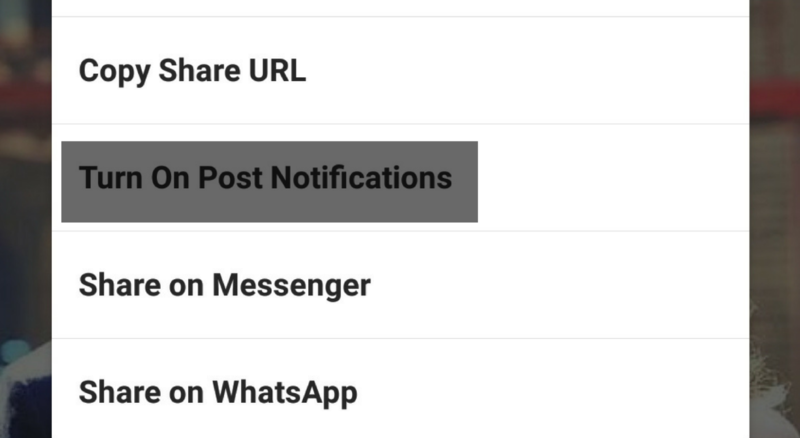 In this guide, I will show you how to turn on Notifications for an Instagram account and get notified for each new post. You can turn on post notification direct from your Instagram feed or you can visit the account’s profile for this. I will tell you both ways in this post. After doing this, you will receive post notification each time this profile posts any new post on Instagram. In case you no longer wants to receive post notification, you can follow the same steps to turn off post notifications. This helps a lot. I have turned on post notifications from the profiles of few good photographers who posts beautiful posts and get instant notifications. You can also do the same from profiles of your interest. I hope you enjoyed reading this article. You can subscribe to our daily newsletter and follow us on Facebook.